In the blazing Australian sun, I tee up my ball at the Royal Melbourne Golf Club and align my driver for the most nervous shot in golf. That’s the one where a steely club professional stands directly behind you to assess whether your game is good enough to play one of the world’s greatest courses. Fail, and you’re back in the clubhouse. Succeed and – win, lose or draw – you’re on a victory roll. Royal Melbourne’s “ghosts” have been assessing these situations for the past 115 years. I need them to be friendly. Fortunately, they are. ortunately, they are. As my ball rockets down the fairway on the opening par four on the West Course, I enjoy my first taste of Sandbelt golf, Australia’s finest and most traditional showcase for the game and comprised of equally splendid championship-quality golf courses. The links terrain that curves in a 20-mile triangular arc around the south east of Melbourne is undulating, well drained and affected by teasing winds off Port Phillip Bay. 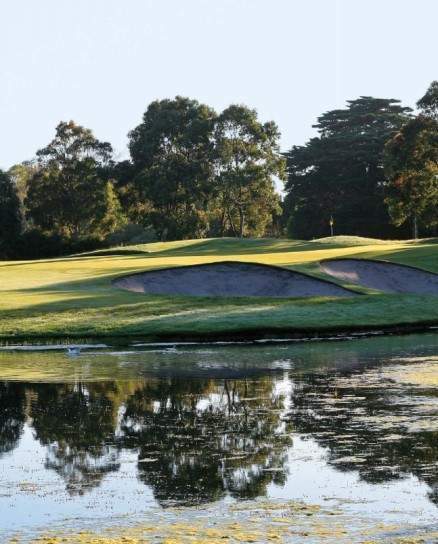 Around a dozen clubs compete for Sandbelt status: as the oldest and closest to the water, Royal Melbourne and Kingston Heath have top bragging rights – both feature in Golf Digest’s top 20 courses in the world – with Metropolitan, Commonwealth, Victoria and Huntingdale making up the inner circle. The names say it all: these are clubs founded in the colonial era by empire builders deprived of a national passion. Picture the scene in 1901 when men raised at St. Andrews and Musselburgh in Scotland visited the suburb of Sandringham in Melbourne. Their mission was to find a permanent site for the Melbourne Golf Club, established a decade earlier and already royal in 1895 by Queen Victoria’s decree. As they enjoyed an elaborate picnic lunch on Black Rock, a small hill among the indigenous ti-tree scrub, they knew they were home. Today’s golfers tee off from this hill for the eighth hole on the West Course and the first on the East, each within striking distance of the palatial new clubhouse. When the original 18-hole course, which was inaugurated in 1901, saw the opening of a tramline from Sandringham to Black Rock in 1919, it was thought that the clubhouse could be moved south and the valuable land to the east sold – this would finance a whole new course. For inspiration, the club president called on Alister MacKenzie who had adapted his skills acquired in military camouflage while serving in World War I, to golf course design. He went on to enjoy a lucrative globetrotting career culminating at Augusta National, home to the Masters tournament, which he completed a year before his death in 1934. En route to the last masterpiece, he looped through Melbourne, creating the West Course in 1931 and setting the style for the East Course that followed three years later. By 2015, the West was rated ninth in the world, the East 28th, but the Club uses holes from both to form a composite championship layout for major tournaments, including the Australian Open. It would be easy to wax lyrical on my own account, but I’ll leave the summing up to regular Open contender, Sir Nick Faldo, who suggested the West “might just be the best in the world, period”. 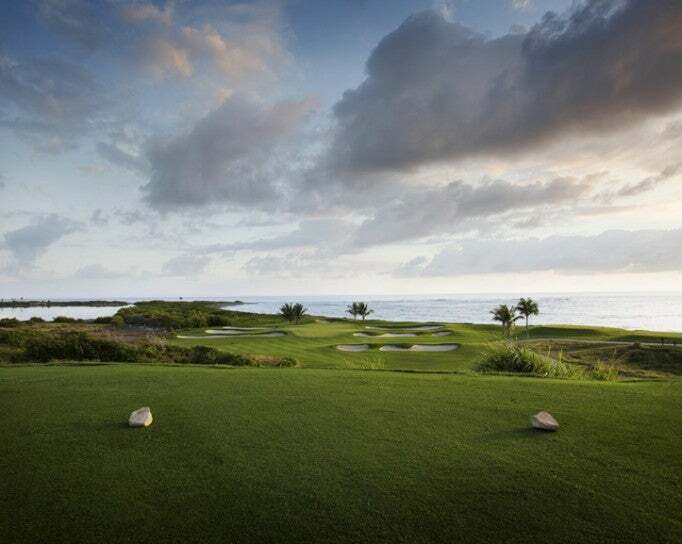 He added: “I love the way it plays firm and fast-running, the way the bunkering frames, and almost intrudes into, the putting surfaces and the brilliance of the bunkering style with the native scrubby look.” Whatever would he have said if he’d won? Despite its exalted global status – it is currently number 20 – I feel at home at Kingston Heath, with its glorious mature trees and fairways defended by dense scrub. When you have a golden afternoon in a place like this, it is hard to care about a few lost balls. Until recently, the members shamelessly rolled their trolleys over the hard packed greens – instant expulsion at Muirfield or Augusta – but a habit that Chapple, among other local managers, is finding hard to break now that etiquette has turned against it. On more public occasions, Kingston Heath is a top people place, most overtly as host to the 2009 Australian Masters. The winner, Tiger Woods, was revealed as a serial adulterer just two weeks after he’d shrugged on the gold jacket, so the helicopters that gathered overhead beamed the scene of Woods’ final untarnished triumph round the world. In the early 1970s, the young Greg Norman snatched defeat from victory when he lost the Amateur Championship on the home stretch. As a professional, he won Australian Opens on both courses, but he unhesitatingly picked Royal Melbourne as his favorite – some wounds never heal. For my final pitstop on my golfing tour, I head south beyond the Sandbelt to the Peninsula Kingswood Country Golf Club, a 1960s complex with two fine courses near Frankston on Phillip Bay. Resident pro Stuart Byrnes shows no mercy to soft “Pommie” (British) sensitivities as we negotiate hilly terrain with sea views and long carries off the tee over “Aussie rubbish”. “That’s fern, heather and tiger snakes,” he says. 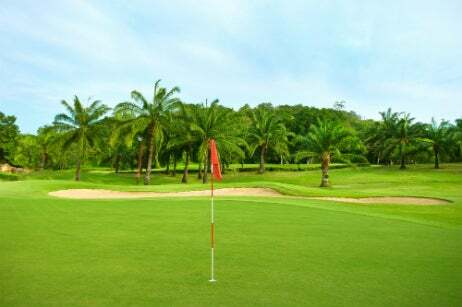 Members in shorts stamp through the rough, slashing around with a discouraging club as they search for lost balls. Others may prefer to buy another six pack. As I do. In Australia, the great outdoors is never far away.